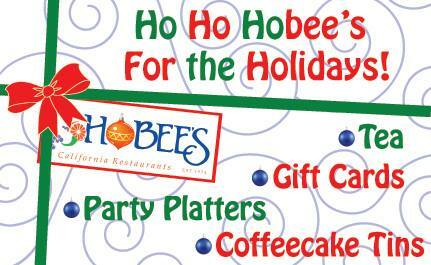 You are here: Home / What's New at Hobee's / Ho Ho Hobee’s for the Holidays! Ho Ho Hobee’s for the Holidays! As an added bonus for our on-line fans, we’re offering 15% off coffeecake gift tins for the holidays with this coupon.